Linda Lee Taylor, 73, of Mount Holly, passed away on Monday, February 4, 2019 at Novant Healthcare in Charlotte. She was born on April 2, 1945 in Kalamazoo, Michigan, the daughter of the late Leonard Whyment and Velda Pike Whyment. She was a lifelong member of Redeemer Lutheran Church of Charlotte and a current member of Holy Cross Lutheran Church of Lincolnton. Linda graduated from Plainwell High School, Michigan, in 1963 and was a retired teacher’s assistant for the Charlotte-Mecklenburg School System. She always looked forward to regular lunch dates with her former colleague teacher’s assistants, and friends, “The Girls”. 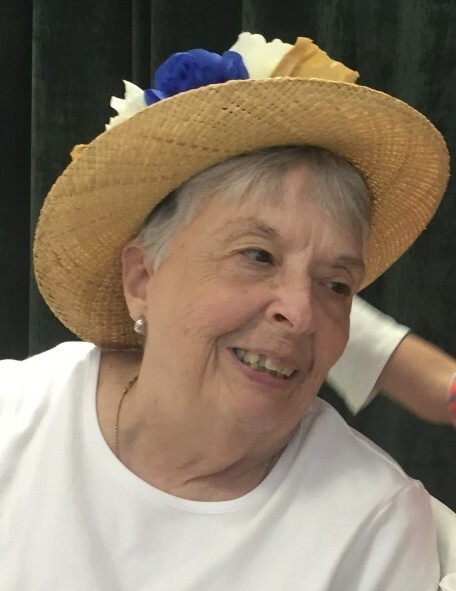 She enjoyed working with flowers, gardening, loved children, and was a member of the Rosemary and Thyme Garden Club of Gastonia. Linda also enjoyed crafting and scrapbooking and her favorite television channel was HGTV. In addition to her parents, she was preceded in death by her daughter, Karen Taylor, and grandson, Christopher Taylor. Linda is survived by her husband, Hugh A. Taylor; daughters and sons-in-law, Brenda Edwards and Eric, Susan Tittl and Klaus; brother and sister-in-law, Stanley Whyment and Beverly; grandchildren, Kristen Benfield and husband Jamie, Ethan Prevatt, Jennifer Edwards and partner Charles Johnson; and great grandchildren, Natalie Edwards, Charleigh Johnson, Charles Johnson, Jr., and Paris Johnson. A memorial service will be held on Sunday, February 17, 2019, 4:00 P.M. at Holy Cross Lutheran Church, 2639 E. Highway 150, Lincolnton, NC 29082. The family will receive friends from 3:30 - 4:00 P.M. prior to the service. Your favorite children’s charity or Holy Cross Lutheran Church, in memory of Linda Taylor, 2639 E. Highway 150, Lincolnton, North Carolina, 28092.